Salvation And Survival: How Does It Feel To Be Number Two? For more than half of its lifespan, the United States of America has been considered the leading economic superpower of the World. That's quite a run, and one that no other nation can lay claim to. For nearly 140 years, America's economy has been the largest among the nations; but there's a new Power that holds that position. First of all, the United States has been in the forefront of prosperity and production for my entire lifetime. So a fall in position in such a rapid timeframe deserves some explanation, don't you think? I am also left wondering if this economic downturn somehow foretells a decline in other aspects of our nation. Is it just me, or does this state of affairs seem to mirror our diminishing civil liberties, constitutional rights, and rule of law? Are we seeing the permanent decline of the United States of America? When you look at it from China's perspective, this is just the evolution that sees them resuming their natural place in the global order. After all, they have a history of dynasties that go back 3000 years, while the U.S. is not even 300 years old! They just had a little 200 year blip on their radar screen, which explains our dominance during that time period. 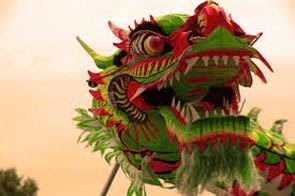 Now, China thinks that things are back to being as they should; and perhaps we just got a little too big for our britches? The economic gurus will tell you that the bottom line is that China is able to export more than we do, and do it cheaper. American manufacturing is on the ropes, and China is ready to deliver the knockout punch. 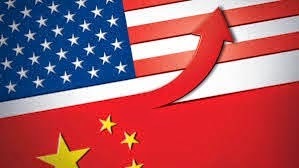 With global powers pushing for a global economy, we are all intertwined with each other ... how many Chinese components are included in "American-made" products? The truth is that we need, and use, far more Chinese exports/products than they use of ours. Even if we tried to ban some of our components in the Chinese marketplace, there are emerging economies that are waiting to step in and take our place. But here's a whole other paradigm to consider ... The IMF is a creation of the United Nations, and here is its official duty: "to promote international financial stability and monetary cooperation. It also seeks to facilitate international trade, promote high employment and sustainable economic growth, and reduce poverty around the world. Created in 1945, the IMF is governed by and accountable to the 188 countries that make up its near-global membership." In other words, it was created to establish a global, or one-world, financial system. But here's the irony ... both China and the U.S. economies are fake; China has built "ghost cities" based on an inflated economy, while we have printed ourselves into a counterfeit recovery. However, for whatever reason, the global elite leaders have decided that China should now be the nation out front of the world economy. Although this might all seem orchestrated, (and believe me, it is!) we must not forget the ideological changes our Number Two status could represent. We can expect to see a major change in the psychological, cultural, and moral aspects of the world's nations; because whatever beacon of Freedom we have been to the world is shining just a little dimmer at the moment. China has not exactly been a bastion of Liberty in the last three-quarters of a century ... Their "cultural revolution" resulted in the deaths of 30 million of their own people, and that's a conservative number. They killed tens of thousands in Tibet and then invaded Vietnam and India. And does anyone think that their cozying up to Russia is a good thing? At the end of the day, I can't help but think of the Biblical prophesies that foretell Satan's political and economic systems that come into play close to the Second Coming of Christ. In fact, Satan even proclaims (in Luke 4:6) that he has been given power over the earth, and he can distribute it to whomever he chooses. The rulers of nations will be influenced by his evil machinations, and there will be a darkness imposed on the earth by Satan's rule through the governance of men. But we must not forget that it is the hand of God that is really in control of the rise and fall of great nations and empires. Satan's influence is ultimately supervised by God. History is full of the narratives of Egypt, Assyria, Babylon, Persia, Greece and Rome -- all nations that were used for His plan and purpose. Each one of these nations played a part in the history of Israel and the Church. We are no different, except that our rise was meteoric, and our fall may be just as spectacular. The real question becomes this: is God through with us? Can we still be used by Him to further His plan, or have we become so enamored by the temptations of Babylon's Harlot, that we no longer care about our purpose? When, as a nation, we are focused on ourselves, and we ignore or deny God, it makes no difference if we are Number One -- the collapse is inevitable. If our role as "defender of the free world" is reduced, and we no longer export faith in God to the nations of the world, then our role may well be finished. When that happens, we will become a footnote in history. Daniel 5:26-27 "This is the interpretation of each word. MENE: God has numbered your kingdom, and finished it; TEKEL: You have been weighed in the balances, and found wanting;"
I so enjoy your reflections, Belle and it seems so many times they are in sync with things that are happening in my world. Last evening as we were driving home, we passed a truck and my husband wondered how many trucking companies there were. I told him that I was sure that there were more than we could count, but reminded him that most of those trucks were carrying merchandise from China to stores all over the United States rather than from our manufacturing plants here. I mentioned that last Christmas as I was wrapping gifts, I was appalled at the number of gifts that had the insignia "Made in China" on them. You mentioned the counterfeit recovery of the United States - while at the grocery store last evening, I could not believe the cost of food! A block of processed cheese was $6.88! Every single thing that I picked up was so expensive. When I got home last evening it made me think of all of the people across the United States who don't have jobs and struggle financially. It broke my heart and I cried out to God for them. The need is so great. You mentioned the cultural revolution in China resulting in the deaths of 30 million in the last 3/4 of a century. Don't forget the 13 million abortions attributed to China each year. Isn't it amazing that God ordained that we should be born at such a time as this? It makes me wonder if there aren't things that I should be doing to fulfill my purpose in His great plan. Is God through with us? I sure hope He hasn't given up on us. We must encourage one another to do our part - no matter how small it may seem in the big scheme of things - to reach out to others with the good news - the great news - that Jesus is the Way the Truth and the Life and that He loved so much that He gave His life that they may might escape an eternal damnation in Hell. Kim, our purpose on this earth, in this life, is to win as many souls for God as we can. I will admit that, in the past, I would shy away from bringing God into a conversation because I didn't want to push people, or didn't want it to be awkward. But He has laid it upon my heart that I should introduce His name to everyone I can ... it doesn't matter if it is awkward or not ... we are talking eternity in hell for those who do not accept His offer of salvation through faith in Jesus! You are right; things are looking bad here in America, and they are going to get a lot worse -- even as we still have it so much better than the faithful in other countries. But to those who have been given much, much is expected ... and we have wasted our heritage. I shudder at the judgment that we deserve, and just pray that He will hear the prayers of the righteous who long to glorify Him. Thank you for taking the time to comment on this post. It lifts my spirit to hear from others who simply want to please and serve God, and fulfill their purpose. God Bless You! Really great commentary on what is happening to the US. But the best was the verse in Daniel! WOW does that fit. Allow me to clarify our purpose on this earth. In this life is no to win as many souls for God, instead, we are the one that need to win our life to God. We, or better say, you. We tend to win many life to God but we forget the most essential thing which is -our life- -our selves- no he, nor she, nor them. I would say -You- me-. We go around helping the life of others forgetting ours. And God wants you -How convenience is to win the life of other rather than yours. Remember the Parable of the Fig Tree? Why did the five foolish virgins run out of oil in the first place? Because the bridegroom tarried - he was delayed. Jesus is the Bridegroom and we - the Church - are His Bride. Jesus is mercifully tarrying as He patiently awaits us to finish His Work He began here on Earth 1,984 years ago. But how nuch longer will He tarry? In Deptember of 2015 The Prophecy of Joel will be fulfilled as "the sun turns tod arkness and the moon into blood before the coming of the great and awesome day of the Lord." (Joel 2:31) 2015 will alaso be a Shemittah Year in which God allows something to happen to get our attention just as He did when He punished the disobedient Children of Israel with the 'Seven Sets of Seven'. Previous Shemittah Years saw the seven buildings of the WTC destroyed in the Islamic terrorist attack in September 2001; seven years later the Dow Jones fell 777 points in one day in September 2008; seven years from then brings us to September 2015 - The Prophecy of Joel!